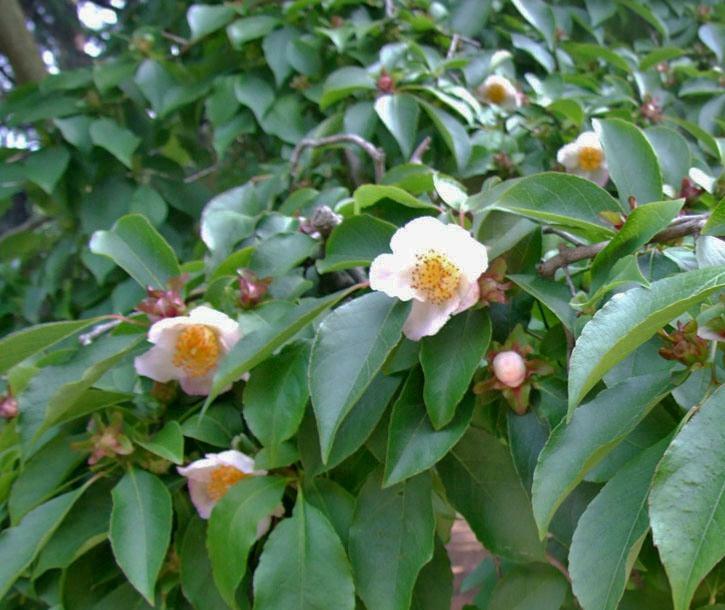 This fragrant stewartia comes from Southern China and was once considered a variety of Stewartia sinensis. 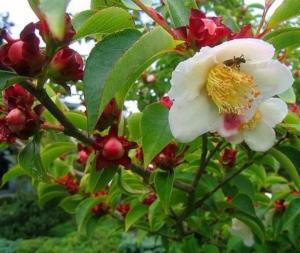 The ‘upright’ or ‘beaked stewartia’ has its own appealing qualities. 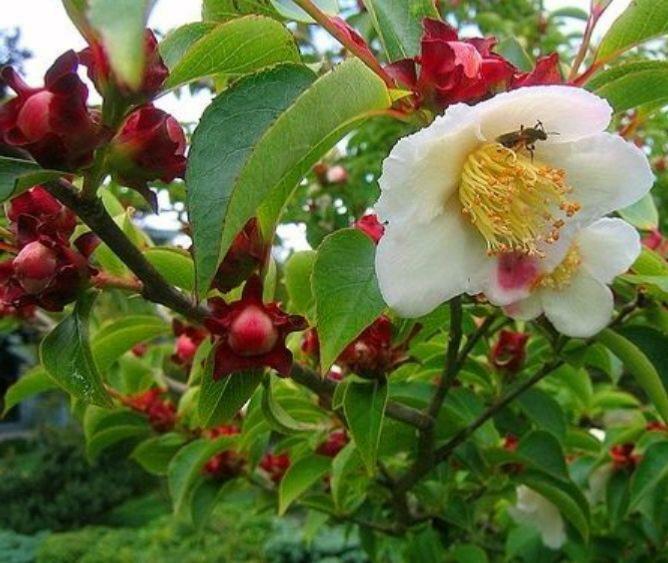 The flower buds are surrounded deep maroon bracts followed by lovely white flowers, they are open wide at 5-6 cm across, mostly 5-petalled and pure white on 4 petals and decorated with a reddish blotch on the fifth one, and this is the only species of Stewartia to do this. The flowers are followed by rounded seed pods with something that looks like a beak, hence its Latin name rostrata, meaning beaked. 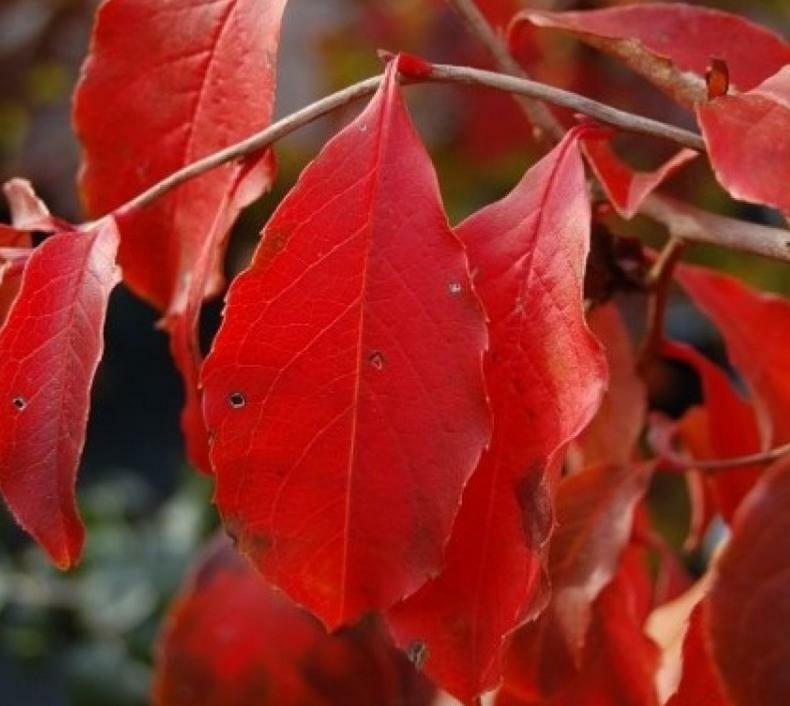 The deciduous leaves are broadly ovate or elliptic, dark green, thick and often with red edging during the summer, and a brilliant red-orange in the autumn. Stewartia rostrata forms in time a large spreading shrub or small tree to about 10m.